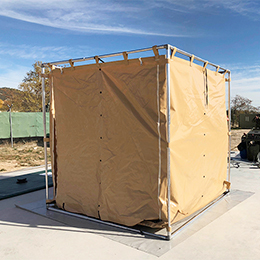 PDPOL CBRN Rapid Deployment Decon System is integrated system over truck platform which provides to Hazmat Response Teams, complete range of decontamination capabilities. 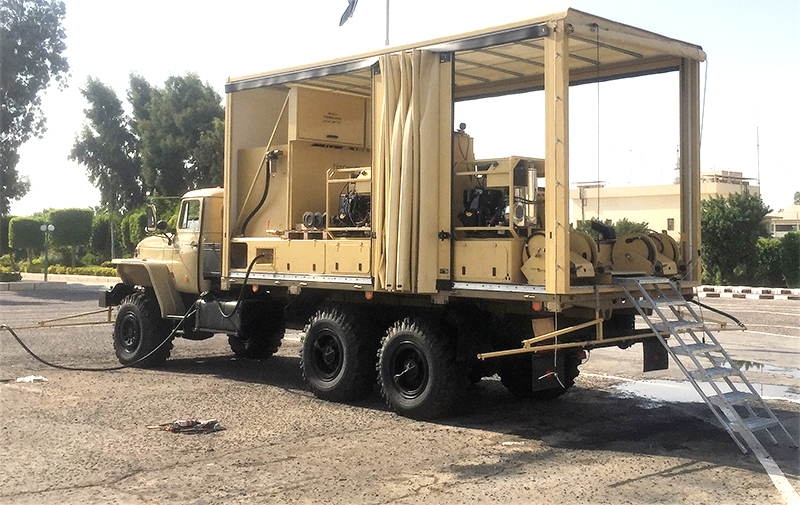 There will be two ATILA multitasking CBRN decontamination equipment) and a complete range of Decon accessories (decontamination shower, decontamination lances, decontamination ground bar, eDecon10, etc.) in PDPOL. 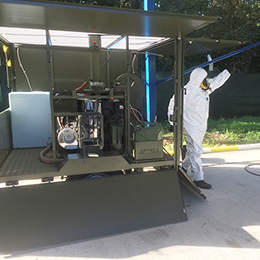 Elements integration and ergonomic design facilitate Intervener decontamination operations in any kind of Hazmat scenario: city centers, protection of critical infrastructures or open field. 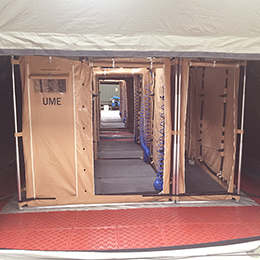 Due to their 2 decontamination equipment (ATILA), Hazard Response Teams have alternative to duplicate their decontamination capacity or carry out simultaneously two types of decontamination. 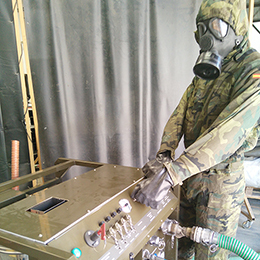 PDPOL is developed according to STANAG 4653 Combined Operational Characteristics, Technical specifications, Test Procedures and Evaluation Criteria for Chemical, Biological, Radiological and Nuclear Decontamination Equipment.